At his best, Matthias Goerne does serious (ernst) at least as well as anyone else. He may not be everyone’s first choice as Papageno, although what he brings to the role is compelling indeed, quite different from the blithe clowning of some, arguably much closer to its fundamental sadness. (Is that not, after all, what clowns are about?) Yet, individual taste aside, whom would one choose before him to sing Brahms, let alone the Four Serious Songs? That set came last in this Wigmore Hall recital from Goerne and Alexander Schmalcz. Whilst it is difficult to imagine anyone having been seriously disappointed by the performance heard, I do not think it came close to matching a performance I heard last year in Salzburg from Goerne with Daniil Trifonov. Before hastening to judgement, however, I should caution that the fault did not necessarily lie with the pianist. Here, as indeed throughout, Schmalcz gave estimable accounts of Brahms’s musical structures, duly suggestive of both how they complement and how they do not the ways of the verbal texts. ‘Denn est gehet dem Menschen’ was perhaps the strongest performance here, offering a true sense of having reached the beginning of the end, finality clear even in the fury of its central stanza; ‘Es fährt alles an einen Ort…’. Echoes from Ein deutsches Requiem, always apparent, were perhaps more than usually so here. However, during the second and fourth songs in particular, a hectoring quality to Goethe’s performance, sometimes apparent earlier too, seemed to go a little too far in the role of the verbal Preacher (be it that of Ecclesiastes or St Paul). In the latter and final song, ‘Wenn ich met Menschen,’ there was a sense of the music never quite having settled; it seemed unduly complicated, as if minds of singer and pianist had not truly come together. The Neun Lieder und Gesänge, op.32, fared much better. Why we do not hear these songs more often I really do not know. Perhaps it is simply that Brahms is still thought of more as an instrumental than a vocal composer. Surely the autobiographical element – Graham Johnson once suggested considering the set as a Komponistenliebe sequel to Schumann’s Dichterliebe – should attract. Above all, though, the sheer musical – and musico-dramatic – quality should. Wagner’s was not the only way. Schubert often hovered in the background, more oppressively than benignly, the opening ‘Wie raft ich mich auf in der Nacht’ suggestive almost of a retelling of the night of ‘Der Doppelgänger’, from a different, related person’s standpoint, several years later. Indeed that fabled ‘lateness’ of Brahms, however much it may stand in need of deconstruction, seemed, not inappropriately, present throughout this dark night’s proceedings. That is not to say that darkness was unvaried; it nevertheless predominated, still more so in the following ‘Nicht mehr zu dir zu gehen’. ‘Ich schleich umher’ offered different forms of repression, repression remaining the operative word, however. Two August von Platen storms ensued, prior to a true sense of reckoning in another setting of that same poet, ‘Du sprichst, dass ich mich täuschte’, almost as if this were the cycle’s – if indeed a cycle it be – peripeteia. Hafiz, translated by Georg Friedrich Daumer followed, in three songs, the first two exquisitely bitter in their ‘Süsse’ (‘sweetness’, as the first has it) – or should that be the other way around? Blissful in its quiet ecstasy, ‘Wie bist du meine Königin’ seemed to hark back to Schubert’s ‘Du bist die Ruh’, without abdicating its ‘late’ knowledge that it would prove impossible to return. 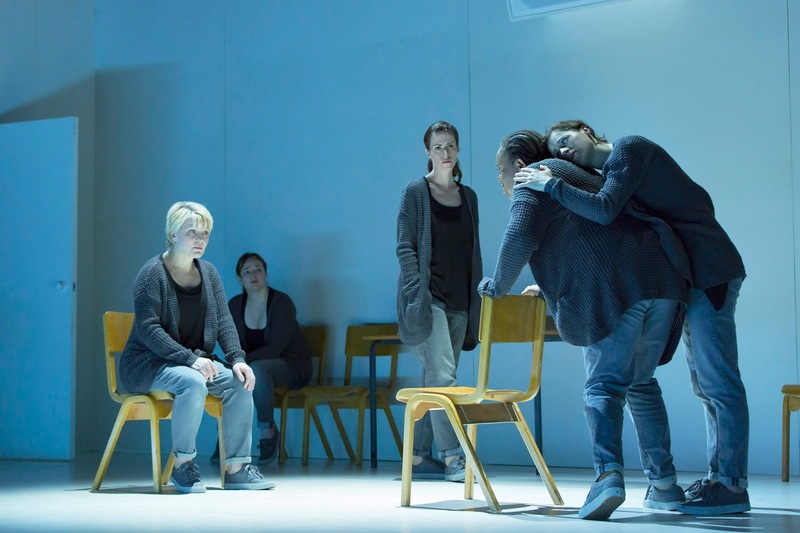 Philip Venables’s 4.48 Psychosis, based on Sarah Kane’s final play, seems to have received a largely rapturous reception, at least from opera critics, on its first outing in 2016. I missed it then, so was very curious to catch it on its revival: one of the Royal Opera’s ventures outside Covent Garden – perhaps aptly, in a theatre, the Hammersmith Lyric, known for its spoken theatre rather than for opera. I seem to be somewhat out on a limb here – only somewhat, since my impressions are far from uniformly negative – but I am afraid I found myself, on the basis of a first encounter, more troubled by doubts than some. (I should certainly not put it stronger than that.) It is genuinely not my intent to find fault for the sake of it; I suspect, moreover, that much may more be a matter of my own aesthetic preconceptions and preoccupations. However, given so enthusiastic a reception, there is perhaps room also for a moderately dissenting voice; it is not as if anyone won over is going to have his or her mind changed by someone who failed to ‘get it’. 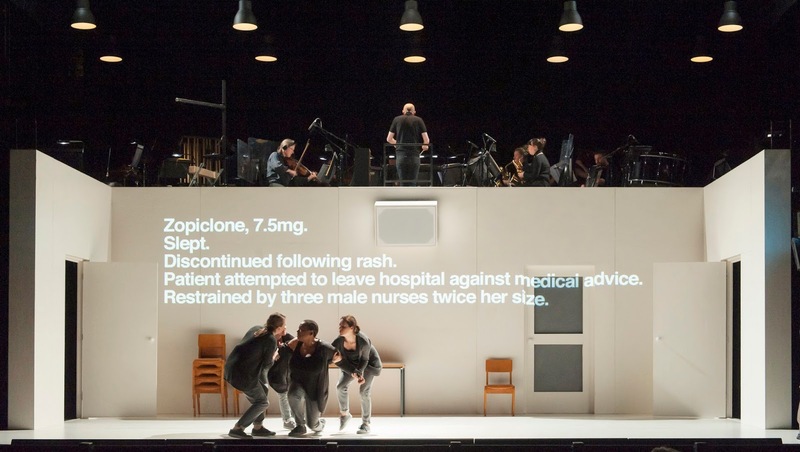 Effort has certainly been extended, by composer, production team, and performers alike, in transforming this enigmatic, fragmentary play into an opera. As is often, although far from always the case, that has involved an element of simplification. We have characters and a more concrete setting, the latter still at a relative level of abstraction and/or malleability. The same could be said of the former, barring the protagonist, Gwen, and her psychiatrist (one presumes), Lucy, and even they can come together in the mass of five voices so as to present something beyond, or perhaps before, mere individuality. The use of ensemble often works well, breaking down or not, as the case may be – not unlike what we see on stage. A central narrative is much clearer: if, in the play, we know where everything is heading, even without knowing that that was precisely where Kane’s life was heading, temporal sequence is perhaps clearer, or at least less fragmentary, which may or may not be the same thing. There is genuine musico-theatrical imagination, arguably innovation, too. Use of titles to present unspoken or unsung thoughts and words is not unknown, often playing, as here, with mismatch between what we see and what we hear. Here, however, it often seems an especially apt response. If an oft-posed – too often, perhaps – question in opera, is ‘Why are they singing?’ then here one might ask, ‘Why are they not singing?’ Two percussionists in the ‘pit’ – actually above the stage, adding, alongside some of the multifarious musical styles employed, to something of a nightclub feel – correspond syllabically with each other, ‘their’ or rather the ‘characters’’ words ‘typed’ out below. Likewise the psychiatric test of counting down in sevens makes its near-deadly appearance on that wall of further action between instrumentalists and stage. There was certainly no gainsaying the excellence of the musical performances either. Gweneth-Ann Rand and Lucy Schaufer stood perhaps as first among equals, but this was a vocal ensemble to be reckoned with by any standards. Likewise the players of CHROMA under Richard Baker’s clearly expert direction proved a match for any new music ensemble. Without knowing the work at all, there seemed little doubt that we were hearing what we should, in duly incisive performances. Even, at a more fundamental level, my doubt as to how much of an opera this was, interest in the voice, whether ‘intrinsic’ or ‘dramatic’, not always immediately apparent, might well be answered with many historical and contemporary examples of that too being the point. I could not help but think of Stravinsky’s typically artful twin avowal and disavowal of participation in such debates: ‘The Rake’s Progress seemed to have been created for journalistic debates concerning: a) the historical validity of the approach; and, b) the question whether I am guilty of imitation and pastiche. If the Rake contains imitations, however – of Mozart, as has been said – I will gladly allow the charge (given the breadth of the Aristotelian word), if I may thereby release people from the argument and bring them to the music.’ Was I involved in the drama, wherever that lay? Yes. If so, does it matter what my ‘ideas’ of opera might be? Probably not. After all, there is, or at least was, a long operatic tradition, both non-Wagnerian and non-Stravinskian, in which ‘the work’ takes less than centre-stage, in which the performative, contingent element is stronger. Perhaps Venables’s opera, then, lies closer to Rossini and Donizetti than to those works with which I stand more at home, and therein lies my ‘problem’; perhaps that problem is mine, and mine alone. My next London opera visit will be to hear George Benjamin’s new work, also from the Royal Opera. Who knows what that will hold? I suspect, however, based upon his first two operas, that it will prove more to my taste, perhaps to my understanding too. It is sometimes difficult now to imagine a time when Schoenberg’s view of ‘Brahms the Progressive’, outlined in his celebrated radio broadcast, was not widely accepted. At least for some of us. I suspect, however, that the typical Brahms listener even now, safely ensconced for a comfortable couple of hours in the Festival Hall or the Musikverein, gives little thought to the implications of Brahms’s music, even continues to hear it as the end of a line. Would that more of those listeners might have had their ears and minds opened by Pina Napolitano’s St John’s, Smith Square recital: for Brahms’s sake, for that of the Second Viennese School, and above all, for their own. For the only disappointment of this lovely evening was how few people had attended. The ‘Schoenberg problem’ remains, to the intense frustration of his devotees. An announcement was made at the start of the recital to the effect that Napolitano was unwell, suffering from a fever, yet would nevertheless perform. There was no doubt that she was indeed ailing; the occasional lack of energy – for instance, an op.118 no.3 Intermezzo that was some way from ‘Allegro energico’ – should doubtless be ascribed to that. Otherwise, the opening op.118 set of Piano Pieces had much to offer. A temptation to view them too much with hindsight, be it Schoenbergian, Schenkerian, or something else was resisted, motivic and other implications coming to the fore seemingly ‘by themselves’, however much artistry that concealed. A slightly slower than usual basic tempo for the second Intermezzo worked very well. It blossomed, moreover, as inner parts increasingly ‘took over’, harmony and counterpoint proliferating in a fashion one might call Schoenbergian, one might call Bachian, one might even call Mozartian: let us, however, ascribe it to Brahms. There was true subtlety of agitation in the third of the four Intermezzi (no.4), and likewise subtlety of sadness in the final piece. Nothing was overstated: instead, we were made to listen. Berg’s Piano Sonata, his opus 1, benefited from similar clarity of line. Again, harmony and counterpoint proved inseparable, indissoluble: I had better stop there with my negative descriptions, lest I land myself in Moses und Aron – and/or Adorno. I very much liked Napolitano’s disinclination to turn this into some sort of ‘late Romantic’ farewell. Already, even at this stage of Berg’s career, we instead heard seeds of a Neue Sachlichkeit too little acknowledged in clichés concerning the most ‘Romantic’ of the Viennese Holy Trinity. If Berg is indeed the Son, that need not make us Arians. Schoenberg’s exquisite op.19 miniatures followed the interval. A great strength of Napolitano’s performance was her ability both to hear and to communicate them as a whole. One utterance provoked another, in true dialectical necessity. By the time we had reached no.6, that magical evocation – in some sense – of the bells at Mahler’s funeral, this was a symphonic finale in itself. Lines might readily have been taken or developed from Brahms; and yet, the timescale is no irrelevance. We felt difference and distance as well as roots. Likewise in Webern’s Variations for Piano, op.27. Napolitano trod a fine line between Brahmsian roots and Boulezian implications. 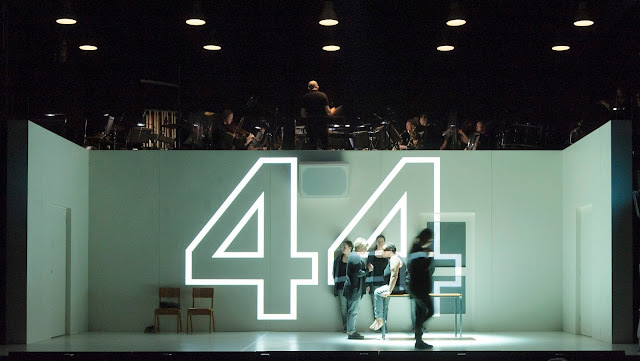 One felt time and time again the future calling – Webern as Boulez’s ‘threshold’ – and the potential for further development of the serial idea. And yet, equally apparent, with more or less equal strength – coexistence or conflict? – the deep rootedness of Webern’s music, at least as much as that of Schoenberg – in that of Brahms. Returning to Brahms’s op.119 set, the three Intermezzi followed by that final, defiant Rhapsody spoke both of ‘lateness’ and of re-reading, re-listening in the light of what we had heard. Half-lights invited us to adjust our aural eyes: are they quite the same as ears? They invited us in, and yet reminded us of limits. Musical history, like history in general, is a complex dialogue. Direct ‘influence’ – ‘I wrote x because of y’ – is at best of limited interest. That is not how interesting music is written to, performed, or heard. Sometimes we need to go back to the beginning, wherever and whatever that might be; sometimes we should look elsewhere. As if to acknowledge that, Napolitano offered Webern’s extraordinary little Kinderstück as an encore. This posthumously discovered work, from 1925, both denies and affirms what we ‘know’ about dodecaphony, about Webern, about serialism – chronologically or aesthetically. Napolitano’s loving performance – Webern teasingly marks it ‘Lieblich’ – treated it seriously, yet never starkly. At the close, Webern writes: ‘D.C. ad libitum’. Napolitano took the opportunity to play it one more time at least; the music is transformed in the light of hearing it again and yet anew. I should not have minded another da capo, yet it is always better to leave an audience wanting more. Moreover, there are, or should be, stringent limits when it comes to repetition, as any of these composers would have been the first to tell us. No doubting the important performance here: the world premiere of Helen Grime’s Woven Space, commissioned by the Barbican for the LSO and Simon Rattle. Alas, Rattle’s recent way with Mahler and indeed with much central repertoire prior to Schoenberg continued: not so extreme as some performances, yet still highly mannered, and for the most part lacking in direction. The Barbican Hall does not help, of course: too small, the sound constricted, yet another indication of why London so desperately needs a decent large concert hall. Yet that would not, could not have changed the fundamental problems with the performance, lapped up, needless to say, by the audience. I was left longing for something along the lines of Bernard Haitink with the same orchestra. The good news, however, was very good. Grime’s piece, in three movements, had apparently been offered in a sneak aural glimpse last autumn, the first movement, ‘Fanfares’ heard at the opening of the LSO’ season. Its opening éclat, hard-edged (tuned percussion and strings in particular), even icy, yet inviting, proved not only to be éclat, soon developing, perhaps not entirely unlike later Boulez. At the same time, there is something fantastical to it too, almost akin to a tone poem in the Dukas line; her Virga, written for the same orchestra in 2007, performed again by them in February, did not seem so entirely distant in that sense at least. Tautness of rhythm, unity of purpose from Rattle and the LSO could hardly be faulted. Bells and solo cor anglais – I could not help but think of Berlioz – may not have been reducible to a narrative; nor, however, did they rule it out. For there are fanfares, certainly, but as part of something more, be it a narrative as such or something which, in performance, fulfils a similar function: perhaps the structure by Laura Ellen Bacon, a 2009 Chatsworth Park aenclosure within an enclosure, after which Woven Space is named. There is stillness too, unease, I think, and consequently something darker. Fascinating in its multivalence – again, perhaps not entirely unlike Boulez’s Notations, albeit with a smaller orchestra – it must have whetted the appetite for more in September. More we now heard. ‘Woven Space’ is also the name given to the second of the three movements. It seems to pick up, loosely – not, I think, necessarily in terms of material as such – from the ‘uneasy’ section of the first movement. There are similar sonorities, ‘hard’ and ‘softer’, yet this is no mere repetition. I fancied, looking ahead aurally, that some of the string lines, whilst more tangled, might be hinting at late Mahler, but perhaps that was nothing more than my own personal fancy. At any rate, the harmonies have little in common. There is a strong sense of descent, in the sense of downward motion, played out amongst three competing choirs, distinct yet not unvarying: roughly, strings, woodwind and percussion, and brass. What initially seems to be the still heart of the work reveals itself to be at least as much its dramatic cauldron. I liked the way it simply stopped once it had no more to say: less shattering than Wozzeck – what is not?! – yet perhaps in its line. ‘Course’, the third movement, presents different motion and different forms of motion: upwards, this time, swirling and perhaps even swarming, yet with other forces competing against that primary tendency. At a certain point, the tension built up starts to dissipate, preparing the way for a telescoped, binding (that woven structure again?) conclusion that is no mere return. New lines, new developments open up, or seem to: the uncertainty is part, I suspect, of the fascination. Again, the music stops; again, we are left wanting more. I feared the worst at the very opening of the first movement of the Mahler, yet once the second violins entered, Rattle engendered a far greater sense of momentum. Indeed, the unease that pervaded roughly the first half of the movement, pervading in particular its progress, was enlightening in its suggestion of the implacable. Mahler’s music was made stranger without merely sounding perverse. We were made to listen, especially in its hushed, liminal passages, their exaggerations notwithstanding. Ultimately, though, it became clear that these were more passages, even sections, of interest than building blocks within a structure, let alone dialectics within its formal elucidation. The sense of connection, however complex, Rattle had brought to the first half generally eluded him here. The dawn of the recapitulation sounded duly monstrous in its combination of beauty and ugliness; alas, its disintegration proved all too distended. The second movement proved strong of heft, yet heavy, in more than one sense, in stylisation. Fair enough, one might say, and initially I did. But do we not need something behind the parody of a parody, perhaps of a parody? At best, some of the Schoenbergian transformation of rhythms – seemingly, intriguingly, founded in rhythm and then extending itself to melody – had one listen anew. In the absence of Schoenbergian, or indeed other discernible method, though, the performance began to sound merely bloated. There is much to be said for problematizing repertoire in performance; Boulez, for instance, often did just that. Yet Boulez’s clarity of purpose, whatever one might have thought of it and its underlying ideology, proved once again elusive here. Structure and form less dissolved – an enticing, almost Debussyan prospect – than lost their way. It was above all the loss of impetus that concerned most, far more than slowness of tempo as such. Alas, I remained resolutely unmoved. The ‘Rondo-Burleske’ fared better, especially to start with, as if the music had come back into focus: not tamed, thank goodness, yet with a guiding thread to help us through the labyrinth. The LSO responded, so it seemed, in kind. Again, later on, there seemed to be some loss of way, yet to a lesser extent. And so, when the violins dug into the opening phrase of the final ‘Adagio’, it seemed to mean something. Rattle could not resist moulding the theme that emerged, yet not unreasonably so. He certainly did not take the easy way through this movement, which is to be applauded; its extremities were acknowledged, without abandonment of a sense of harmonic motion. A passage in which string vibrato was withdrawn made its chaste point; so too did the relative rarity of giving the strings their heard. If the final goodbye were perhaps unduly prolonged – it takes a Boulez not to succumb – then such a reluctance is eminently comprehensible. Even here, though, I longed for the relative straightforwardness of a performance Rattle gave with the same orchestra round about 2000. There is much to be said for letting musical contradictions overflow into performance; Mahler should never sound too easy, let alone bureaucratic. At the same time, however, his music too needs its ‘woven space’. Excellent programming: worthy of Boulez, if hardly for the literal minded. (‘I think you’ll find [stroking chin] Beethoven didn’t know Unsuk Chin’s music, or Heinrich Biber’s. So … what are they doing together then? And … AND … why don’t you use period instruments? I rest my case!’) Any connections between the first and second halves were not necessarily explicit; this was not an overtly didactic programme (nothing wrong with that, of course). Nevertheless, I fancied I could hear certain pitches, certain turns of phrases, perhaps even certain rhythms, in both; and even if I could not, contrasts fascinated enough. I freely admit that I had not previously found Salonen’s Beethoven very much to my taste, nor, perhaps more to the point, to my understanding. This performance of the Second Symphony, also of course in D major, proved very different, making me keen to hear more. Where previously I had longed for a more modernistic approach such as I suspected might have been his, here it was: not for its own sake, but emerging from score and programming alike, almost as if a Michael Gielen for our times. The opening chord struck me with its rasping natural trumpets; otherwise, there was nothing – thank goodness – especially ‘period’ about this. Salonen even showed that it is perfectly possible to hear dialogue between first and second violins without placing them on opposite sides of each other. The first movement was lively in a different way from Biber, yet suggestive nevertheless of some sort of kinship. Most notable of all was the real sense of return at the onset of the recapitulation, of joy in a Haydnesque, even Handelian manner. The sheer character of the coda made me smile, as it stormed the heavens in a twenty-first century remodelling of ‘tradition’. Parsifal continues its strange career in the opera house, both its ‘home’, Bayreuth, and beyond – the ‘beyond’ Cosima Wagner haplessly, hilariously attempted to prevent with her Lex Parsifal. (Note to pious New York Wagnerians: next time you appeal to the Master’s alleged intentions, consider your house’s role in confounding them.) Wagner’s desire, as expressed to Ludwig II, to protect the work from ‘a common operatic career’ is understandable. Indeed, Pierre Boulez, a highly distinguished interpreter and critic of the work as well as compositional successor, understood this very well when he approvingly noted Wagner loathing a system in which ‘opera houses are … like cafés where … you can hear waiters calling out their orders: “One Carmen! And one Walküre! And one Rigoletto!”’ Bayreuth has veered from the very best, indeed the very greatest, in Stefan Herheim, to the very worst, with Uwe Eric Laufenberg’s festival of Islamophobia, bizarrely released on DVD whilst its predecessor languishes in the (virtual) vaults. I do not think I saw Vienna’s previous Parsifal, directed by Christine Mielitz; at any rate, I have no recollection of it. This first revival of Alvis Hermanis’s production had me wondering, however, whether it could have been any more vacuous. The conceit, if we may call it that, is that two Wagners, Richard and Otto, shared the same, well, surname. Therefore the action takes place at the ‘Wagner Spital’ – alias Otto’s Steinhof psychiatric hospital. I wondered whether there might be a nod to Nietzsche and/or Thomas Mann on Parsifal, here, but suspect myself, perhaps unusually, of undue charity. A model of the human brain grows larger, amidst some books on shelves: ‘Durch Mitleid wissend…’? There is a half-hearted attempt, which nevertheless made me think, at pschyoanalysis, Kundry on Klingsor’s couch, in the second act, although it quickly becomes unclear, rather than fruitfully ambiguous, who, if anyone, amongst the characters, is analysing whom. Bits of Wagner’s (Richard’s) poem are flashed up above the stage from time to time; having hired someone for video, it must, presumably, have been necessary to find something for her to do. (Not her fault in the slightest, I hasten to add.) As for the final scene, in which a few Vienna 1900 celebrities join the chorus, bedecked in the most absurd winged helmets you will ever have seen, even as devotees of ‘Against Modern Opera Productions’, I simply gave up. The stage direction itself might as well have been a wet Wednesday’s revival of Otto Schenk.